Trim or split videos from 3GPP/3GPP2, ASF, AVI, DAT, DivX, DV, MOV, MP4, MPEG-1, RM/RAM, WMV, and Xvid to AVI, WMV, DivX, XviD, or DV. Frame accurate. Preview video to set the exact frame. Easy to use operations to set the trim and split timecode. MMshall Video Audio Converter is a powerful audio ripper for video. 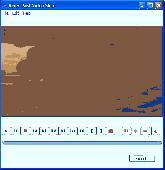 It can extract audio from almost all video formats, e.g. DivX, XviD, AVI, WMV, MPG, MPEG, ASF, RMVB, RM, RAM, MOV, VOB, FLV, SWF, 3GP, 3G2, MP4, SVCD, VCD to MP3, OGG, AMR, AC3, WAV.